Call of duty, the name is enough to understand the vibe of this action pack game. 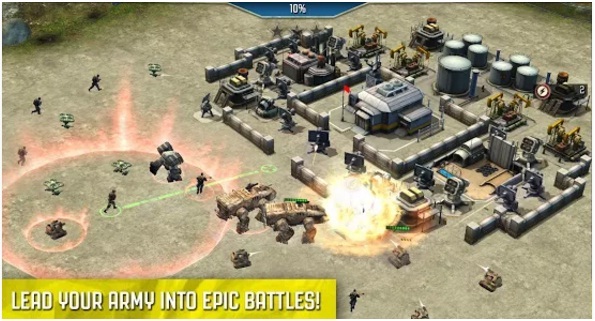 Command an army of legendary heroes, elite soldiers, and devastating drones straight from the Call of Duty franchise in this 3D combat strategy game. Build your team and train your forces to dominate your opponents in fierce battles featuring fully controllable heroes and epic Killstreaks, like the first-person chopper gunner.